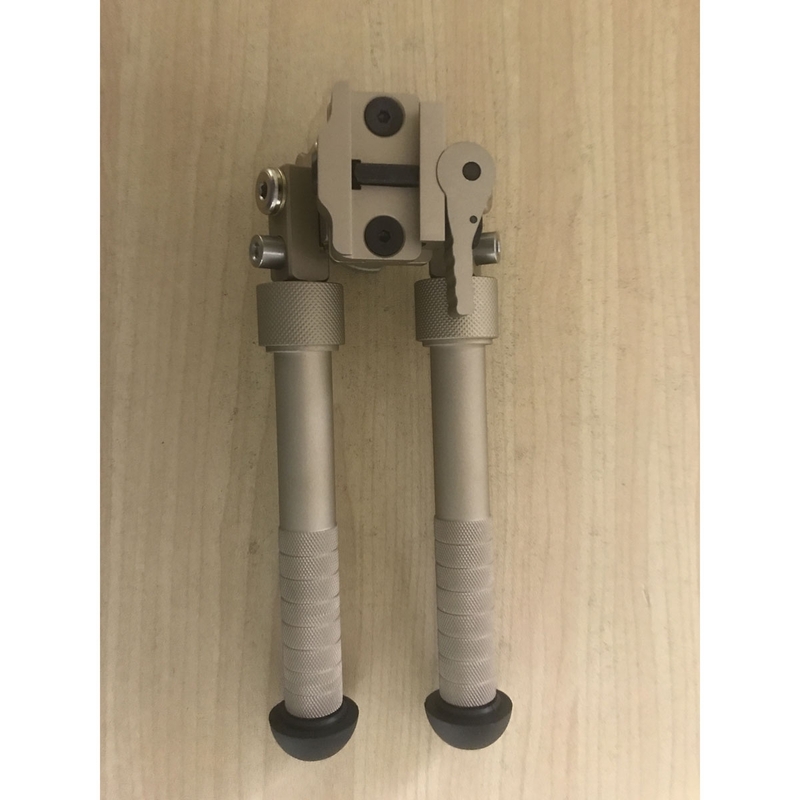 AirForceOne ADRAS Tilt & Swivel QR Lever Bipod. Using superb quality alloys and stainless steel throughout its construction, its finish is beautifully hard anodised in Matte Black or Champagne Sand. 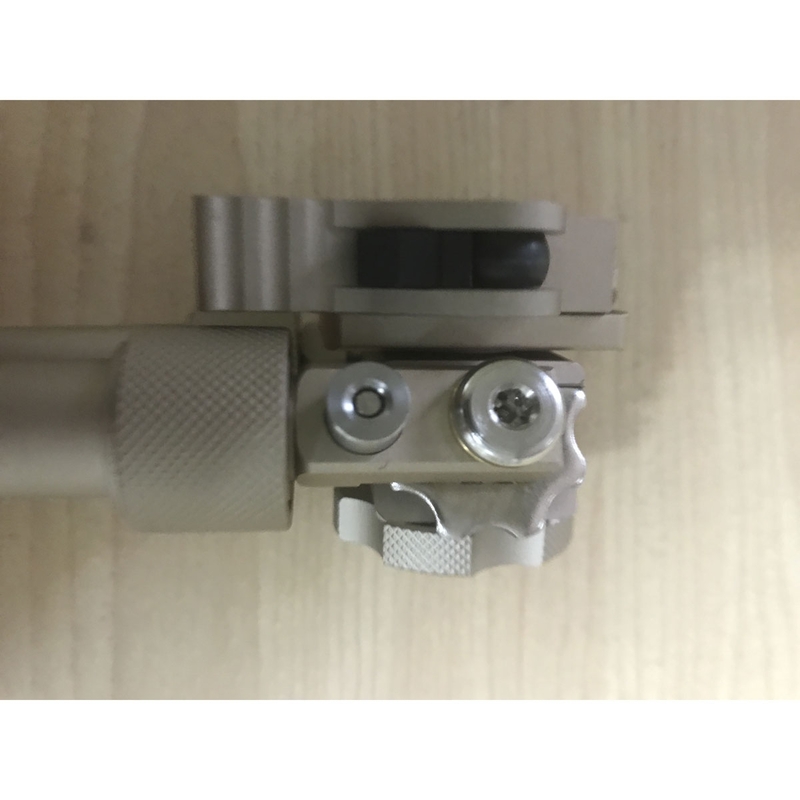 Extending between 5" and 9", It's totally feature packed, including a 'Quick Release' Lever for virtually instant attachment and detachment from any 20/22mm Weaver/picatinny-style rail; Legs that move independently and can be deployed in a 45 degree position either forwards or backwards, in the traditional 90 degree position, and facing directly to the front or back, locking securely into 5 positions through an 180 degree arc; It provides the shooter with 30 total degrees left to right 'Pan' ('swivel') as well as 30 total degrees of 'Cant' ('tilt'), making it easy to align your cross hairs on the target regardless of the terrain or the movement of the target; Extendable Legs: Length of both legs can be independently adjusted for best position. 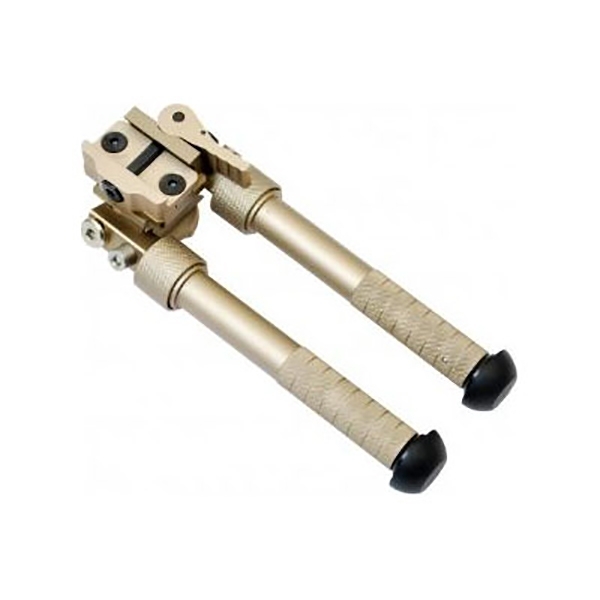 Foldable Arms: Bipod arms can be folded up for easy carry and storage. 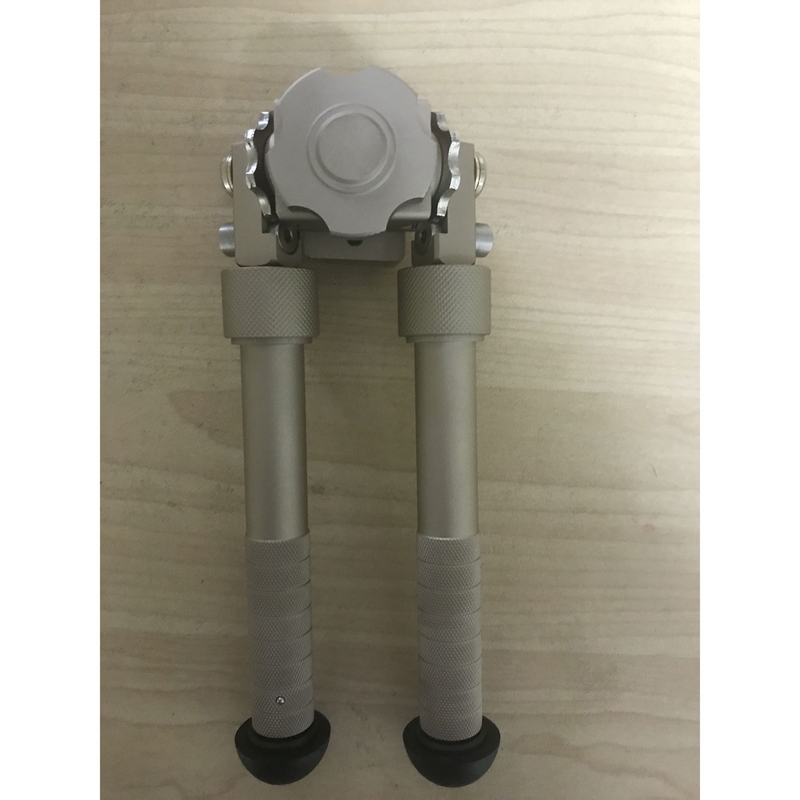 Rubberised Feet: Specially rubber-coated feet increases the friction between the bipod feet and the surface they contact for a more stabilised shooting position. Compact light and functional . Easy to use and improves with practice. The Air force one bipod came and I was very happy with the quality. 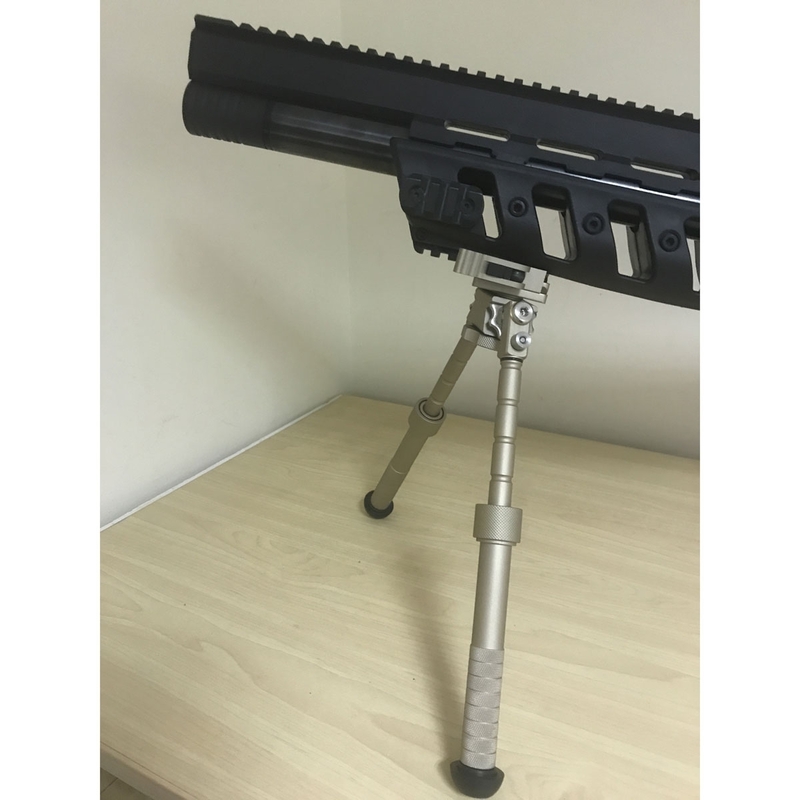 Now that is a proper bit of kit not only it is perfect in functionality but it is also very pleasing to the eye due to the silver / champagne colour.Best bipod Ive ever bought.Thanks Uttings! !